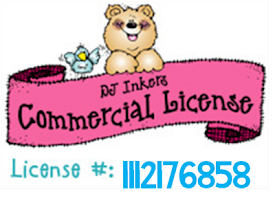 I am so excited to share about this with everyone. If you have hopped over to my blog before you probably know how much I love Conscious Discipline. It is AMAZING! Keep reading to learn more about this Bright Idea.....a We Care Bag. Young children often have difficulty being able to verbalize what they are feeling or going through. The way we often know that something is wrong is through their behavior. 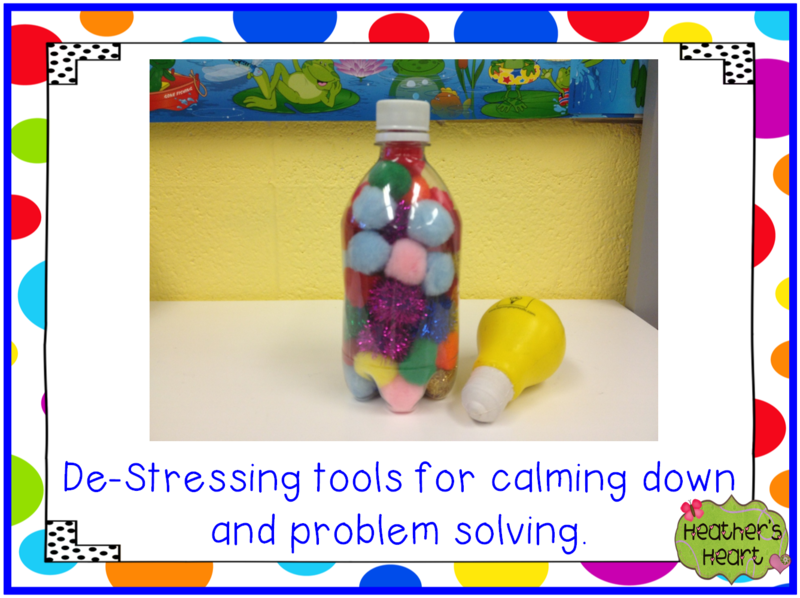 The tools in the We Care bag can help kiddos learn ways to de-stress, calm down, problem solve, and learn about ways to handle different emotions. You can put anything in there that you want and you can easily modify this for bigger kiddos. *Drain- Make 2 fists and hold your arms out straight in front of you. Tighten all muscles. Then, make a "Shhhhhhh" sound as you let out and release all of the stress and tension. *Balloon- Interlace your fingers and put both hands on top of your head. Pretend that you are blowing up a balloon as you inhale through your nose and stretch your arms above your head like you are blowing up an imaginary balloon. Slowly exhale and deflate your balloon making a "pppbbbbbb" sound with your lips. You cross arms and legs. Put your tongue on the roof of your mouth and breathe. The other things in the picture above are some tools we use to help us relax. The Star is a light the kiddos can tap it to turn it on 3 times as they practice their S.T.A.R. breathing using the breathing icon above. The caterpillar is a squishy toy that the kiddos gently rock back and forth breathing while practicing being caterpillar calm. The light bulb helps them think of other ways the problem they are having can be solved. They can get a bright idea too! 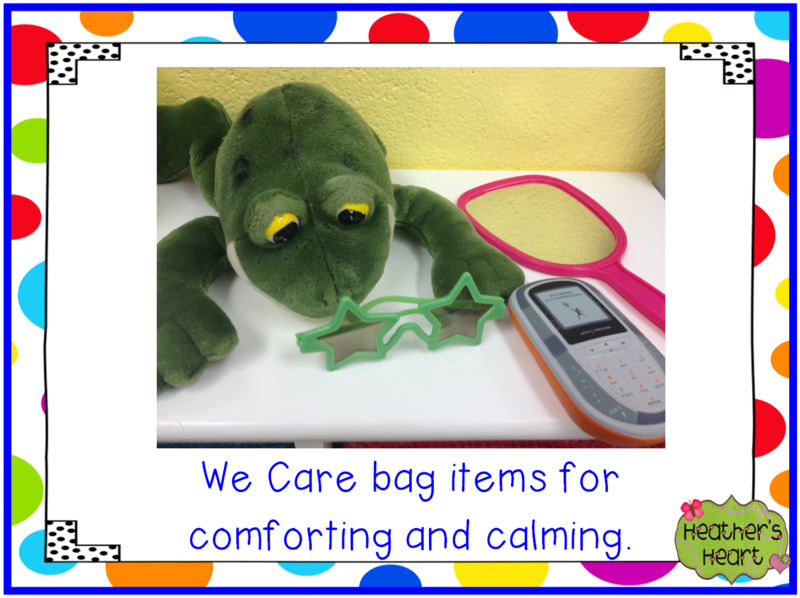 The stuffed frog helps comfort them when they are feeling sad or lonely. The mirror helps them "see" how they are feeling. I usually have an emotions poster in the bag too. The S.T.A.R. glasses can be worn so they "focus" on calming down and using their S.T.A.R. breathing. The phone can be used so they can "call" somebody when they are sad or missing someone. My kiddos love to help each other out with the goodies inside. The kiddos can ask me if they can get a tool out to help a friend or a kiddo can ask me to get something out to help themselves if something is wrong. I might tell a kiddo "I think we need to get something out of the We Care Bag to help you out right now. Let's go see what we can find." 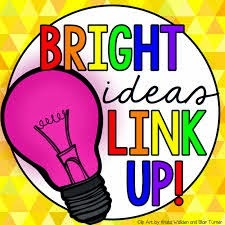 Be sure and check out tons and tons of other Bright Ideas in the links below. I love this idea! 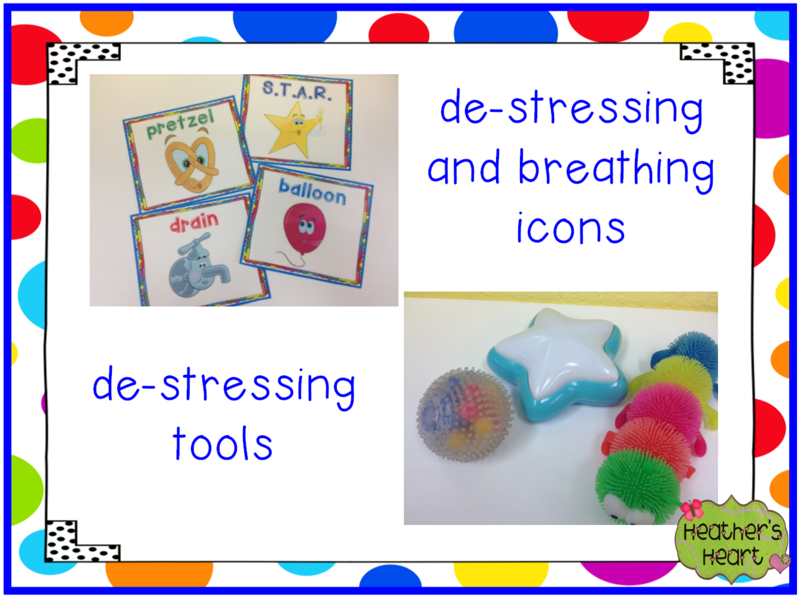 Really great ideas for helping kids to calm down and stay "even-keeled" through the day. I was wondering how you prevent kids from using those items to play? Do you keep the bag in a teacher area unless someone needs it? Would love to hear your strategies for that! Forget the classroom. I am using this with my own children! Thanks so much! 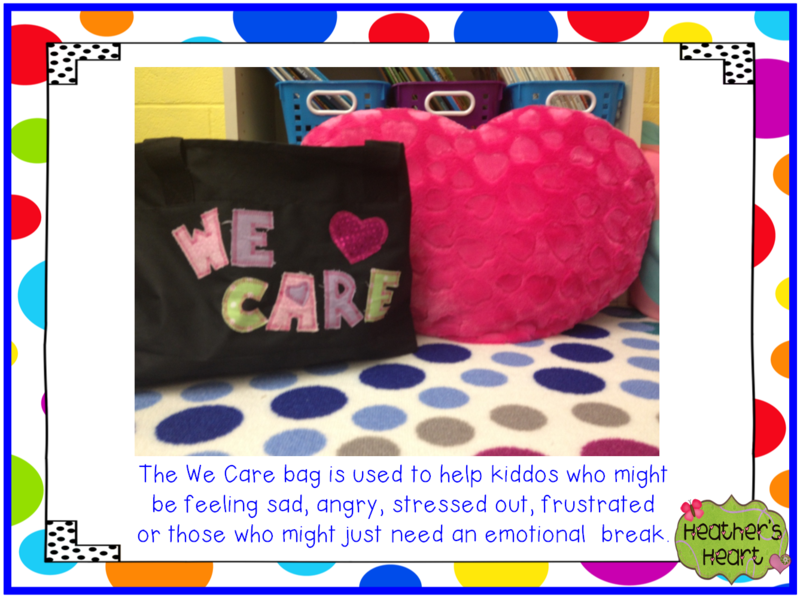 Love the idea of introducing a "we care" bag to my first graders! My kids come from a variety of home lives (some of which are far from ideal) so it is just as important to focus on their social-emotional growth. 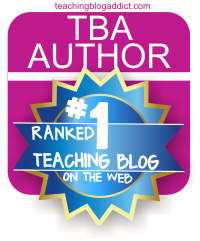 Oh, and thanks so much for stopping by my blog :) I've given yours a follow! I LOVE the poms in the bottle! Have a super duper year, lady! Such super ideas for helping children cope when they are experiencing a difficult situation. I am going to have to make a bag like your's. Thanks so much for sharing. 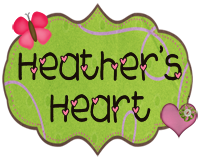 Thank you for this post Heather! Seriously, I did the balloon on just now. It was very relaxing, and I NEEDED that today! Thanks for sharing your knowledge on this topic! Being able to help a child be relieved of stress is very important because this will enable them to deal with their tasks smoothly without feeling burdened. Thanks you for such profound ideas! I have noticed that children take teachers not as human beings but as heartless repressers and afraid of them and don't like study at all. We need new vision of teaching where there is less teacher talk and more student talk, teachers create the atmosphere of sympathetic understanding. In this case students won't be searching for the best dissertation writing service, they won't be afraid to confess they don't know how to fulfill this task and ask for help. Educators must inspire an interest to study and gain new knowledge every day and conversation is great way to build relationships between teacher and students! These bright ideas are amazing, thank you so much for sharing. And I absolutely agree, usually it’s rather hard foe young students when we want them to express thoughts and feelings verbally. Teacher must develop these skills at an early age. Otherwise students may end up ordering essays for money as they are unable to create own complex statements. And I really enjoy your exercises. I think that the best way to teach is through entertaining tasks and games. 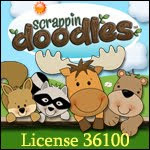 They not only help to improve basic skills but also develop communication abilities. I wonder how much time do you usually need to prepare all this stuff? I appreciate you finding the time and energy to put all these things together.We don't know each other, but I'm a huge fan of your work! Keep up the good work! Best regards, best essay writing service. شركة المنزل هى شركة نقل عفش بالمدينة المنورة لدينا العمالة المدربة التى تقوم بخدمات نقل العفش بالمدينة المنورة باستخدام اجود انواع السيارات المستوردة التى تقوم بنقل العفش بالمدينة المنورة والروافع والاوناش التى تساعد على اتمام عملية نقل العفش كما اننا لدينا خدمات نخزين العفش بالمدينة المنورة فنحن لدينا المستودعات المجهزة والخالية من الحشرات والمؤمنة من القوارض والحريق والسرقات ونحن نقدم جميع خدماتنا بأسعار رخيصة .